Job opportunities are available both on and off campus. There are two types of on-campus student employment: The Federal Work-Study Program (FWSP) and regular student employment (non Work/Study). Federal Work/Study awards are based on financial need and will be included in the financial aid awards of those students who qualify. All student employment positions on campus are competitive. Priority in hiring will be given to students who have a Federal Work/Study award. 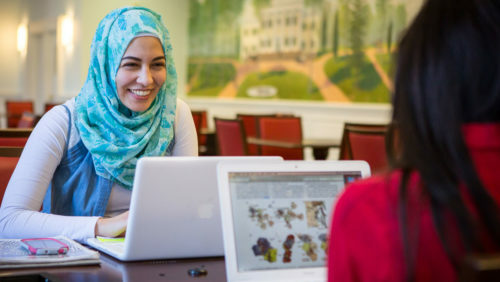 The university does not guarantee job placement for any student, but the Career Center does assist and guide students through the job search process. Please visit the Career Center’s Student Employment website for complete information. If you have questions about your specific Work-Study award, please contact workstud@drew.edu or 973-408-3717. Looking to hire a work-study or non-work-study student employee? Complete the campus student employment placement form.